Prepare for the understatement of the century… “Building a home can be overwhelming because of all of the decisions to be made.” Our goal at Village Home Stores is to let you leave with an exceptional customer experience whether you are purchasing laundry soap or an entire home of products. We want the building process to be as simple as possible for our customers. You shouldn’t have to drive around and manage all of these decisions on your own. 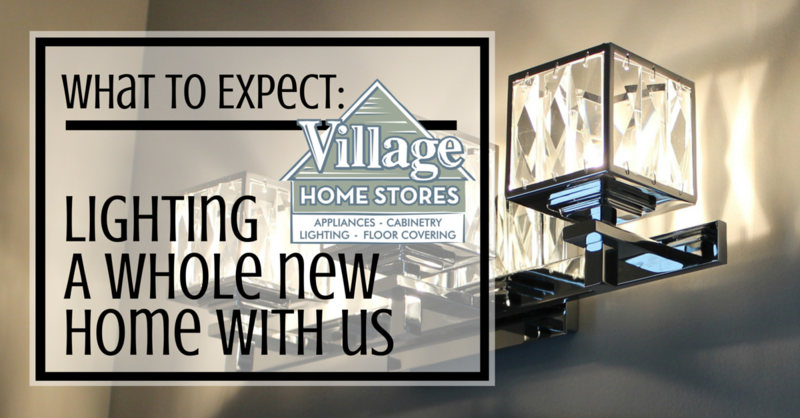 When building a home, we want you to be able to select as much product as you can from Village Home Stores. This is so we know the end result will look the best it can and so that the process isn’t stressful for you. Great finished projects look complete when one concept is in mind for the entire home. Bring a copy of your home print or arrange to have your builder send a copy to our store before your appointment date. Collect some examples of lighting that grabs your eye. These could be magazine clippings or ideas saved to your personal tablet. Take advantage of some of the great online resources for inspiration. Start a board on Pinterest or save images to an ideabook on Houzz. This helps our experts get an idea of what looks and spaces you are drawn to. Bring an open mind. We know that sounds about as cheesy as can be but just like any other shopping you may do, there is so much out there. 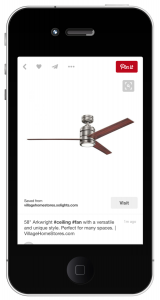 That Dining Room light you have had saved on Pinterest for three years may not be available now or within your budget. Our experts can help you find an option that does fit within these perimeters. Just keep an open mind to what is available. Having that open mind will be helpful during the entire building phase. You may be pleasantly surprised when we can find an option that you may even love more than the original light you were hoping for. Collecting examples can be the most fun part of your building process. Many times just a single image of a finished space can help your team of experts at Village out tremendously. Shopping for lighting in catalogs can be difficult. The same light in a catalog will never have the impact it does when installed in a room. Take this ceiling fan on the right for example. When shown isolated on a white background you can tell it has great style and a sophisticated look but would it make a great statement in your room? There are thousands and thousands of fans we could have choose for this Hearth Room in Moline, IL. Seeing it installed you can see that the fan selected looks like it was truly made for the space it ended up in. 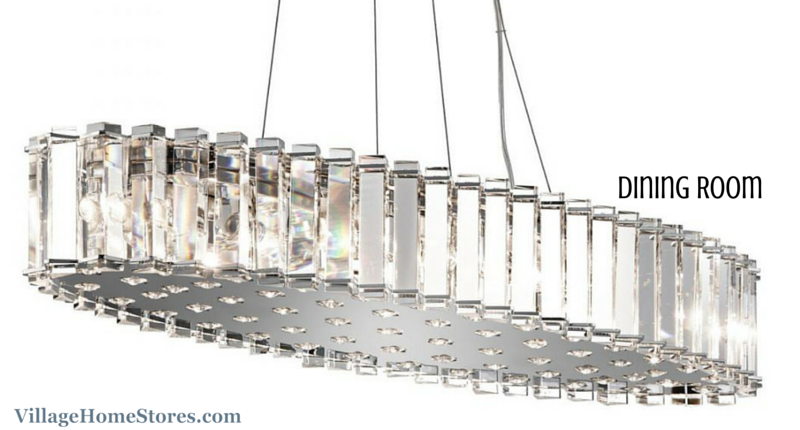 Our team has the vision for your lighting concept as long as you give them the correct leads. 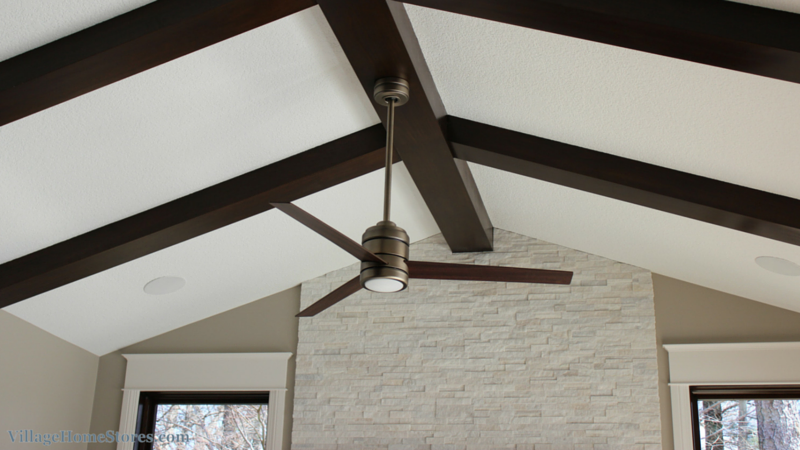 Take a look below at the same fan installed with a beautiful beamed ceiling in the finished Hearth Room in Moline, IL It is perfect for the overall look of the room. When we know the look you are after, we can help you get there. 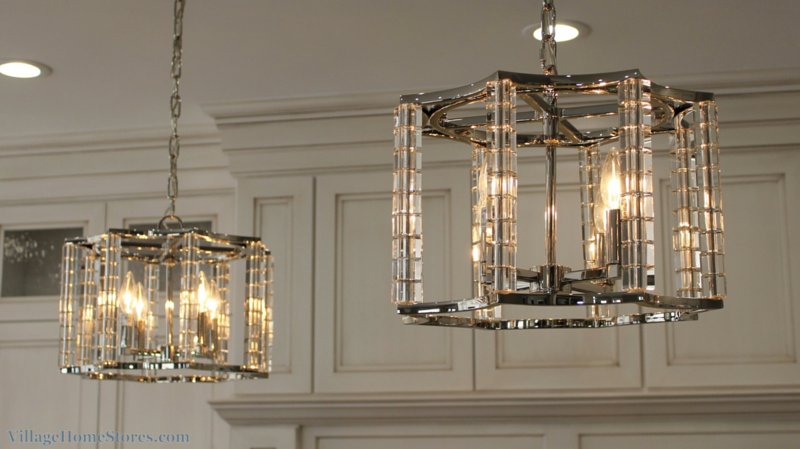 Searching for lighting to go above your kitchen island? Revisit the kitchen images you have been drawn to for your cabinet design and see if the lighting included is part of the look you love. What Does a “Lighting Concept” Mean? 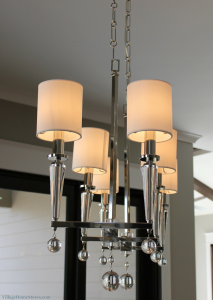 A cohesive look to your home lighting selections as you or a guest use the home. Your lighting selections should compliment each other, not match. This is the role of our lighting experts. They will help you select the perfect scale, style, and application for the lighting you need and keep them all as part of the overall vision for the project. Less work for you! 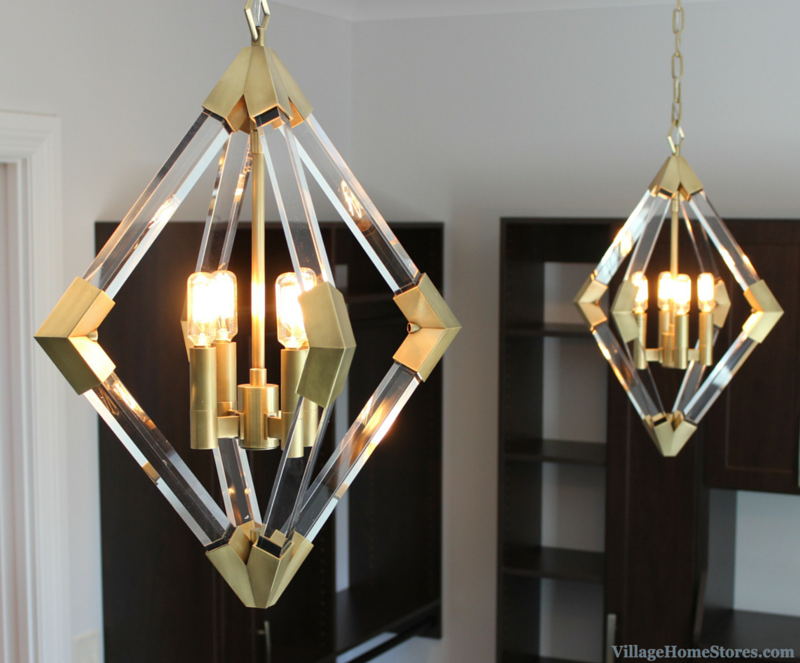 Having our expert lighting team work for you to create this whole home lighting concept is one of the best reasons to work with Village Home Stores. You don’t have to hunt all over town or forage through the online jungle. Share with us your examples and we will prepare a concept for you. How about we walk you through an example of a lighting concept? The examples we are showing you in this blog post may not be your own personal taste or budget, but it is a fantastic example of a complete lighting concept. This is a home in Moline, IL built by Rodenburg Builders. 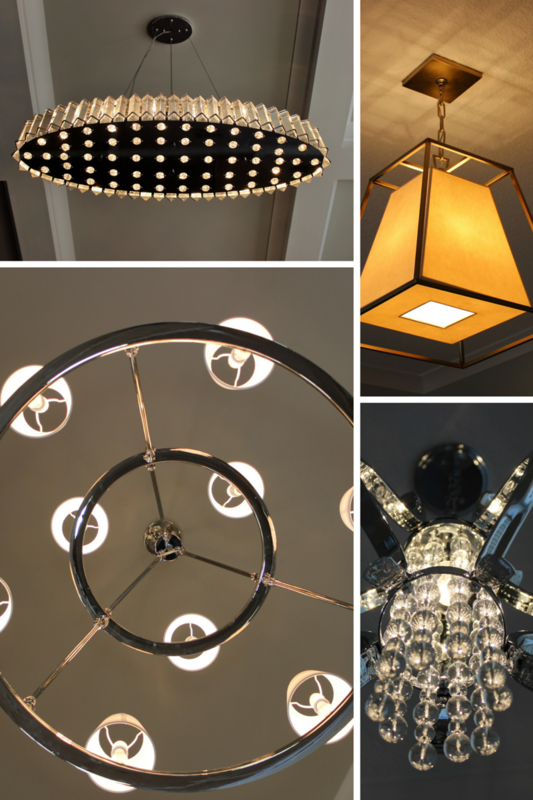 The lighting for this new home was hand-picked just for this client and their specific taste. No matter what kind of day you are having, it could always use a little extra sparkle. Trust us this home now has a lot of sparkle! The three fixtures shown together above are all found within the same area of the home. Two kitchen island pendants hang within view of the Dinette area and a Wine Room within the kitchen has a clerestory window that peeks a view at the chandelier within. All unique fixtures yet they are not “matchy matchy” lights. Instead they compliment each other and are designated for specific locations and tasks. Stunning “Carson” 4 light chandelier pendants by Crystorama hang above the island (shown above) and give an open and airy look to the kitchen. Right within the kitchen is a Wine Room. This room is illuminated with an enchanting Artcraft “Bella Vista” chandelier (shown below). The light itself is breathtaking. The reflection the crystals cast on the ceiling and the sparkling stone walls make you want a glass of champagne immediately. The “Kyle” ceiling fixtures, “Livingston” sconces, and “Lyon” closet pendants each have their own unique look but work so wonderful in the completed project. Each of these lights happen to be made by Hudson Valley but are from three series of lighting. Press play below to take a quick video tour of all of the lighting selections made for this Moline, IL home. Why Work With Village On My Lighting? 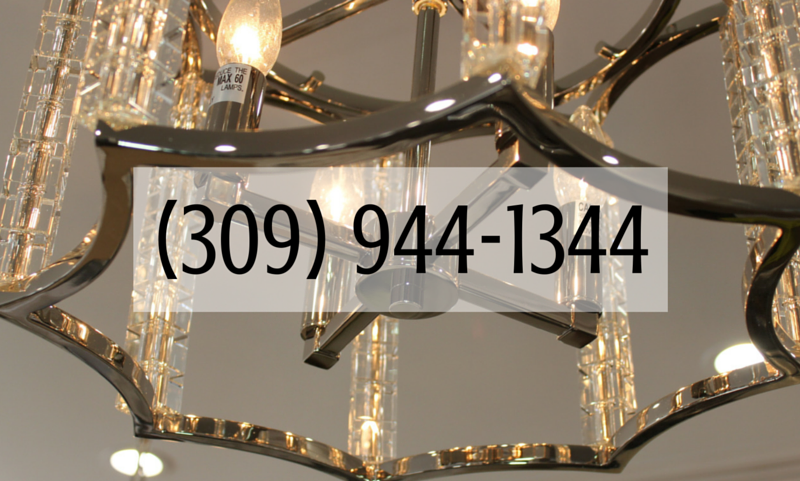 The main reason to work with our store is the piece of mind that your lighting selections have been made with you and your project specifically in mind. Our full staff of lighting experts love what they do and keep up to date on all trends and new products. New construction customers always receive free (non-specialty) bulbs with all package lighting purchases. Free delivery of products is always included as well on package purchases. Your builder or electrician does not need to arrange to have the lighting picked up. We can bring it to the jobsite for them when they are ready. Our expert lighting team communicates with your contractor and electrician on any questions and concerns at the jobsite. Whether it is a question about hanging height for a fixture, or needing a replacement piece as quickly as possible, communication is key. 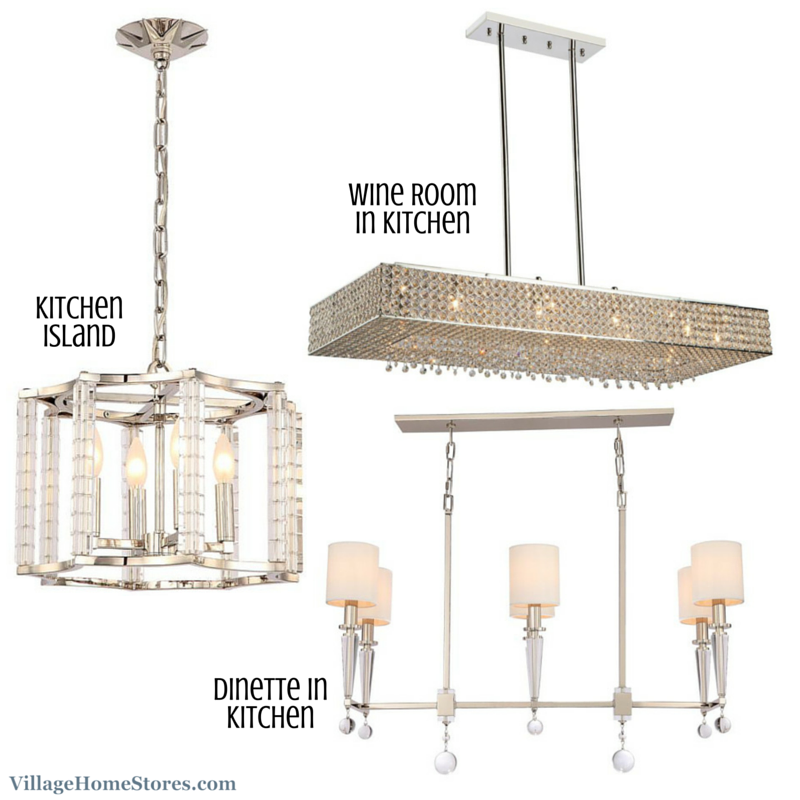 Village Home Stores offers interior light fixtures, exterior light fixtures (ELK “Bianca: series shown above), indoor and outdoor ceiling fans, Diode LED tape lighting systems, Adorne switches, Legrande switches and outlets and much more. Your lighting expert will be sure to make certain you have everything that you need for a functional and fantastic whole home lighting concept. The lighting in your new home is such an important element to the overall look and feel of the spaces. You will need lights that make an impression and some that just serve their function. From Dining Room to Exterior lighting, we have you covered. 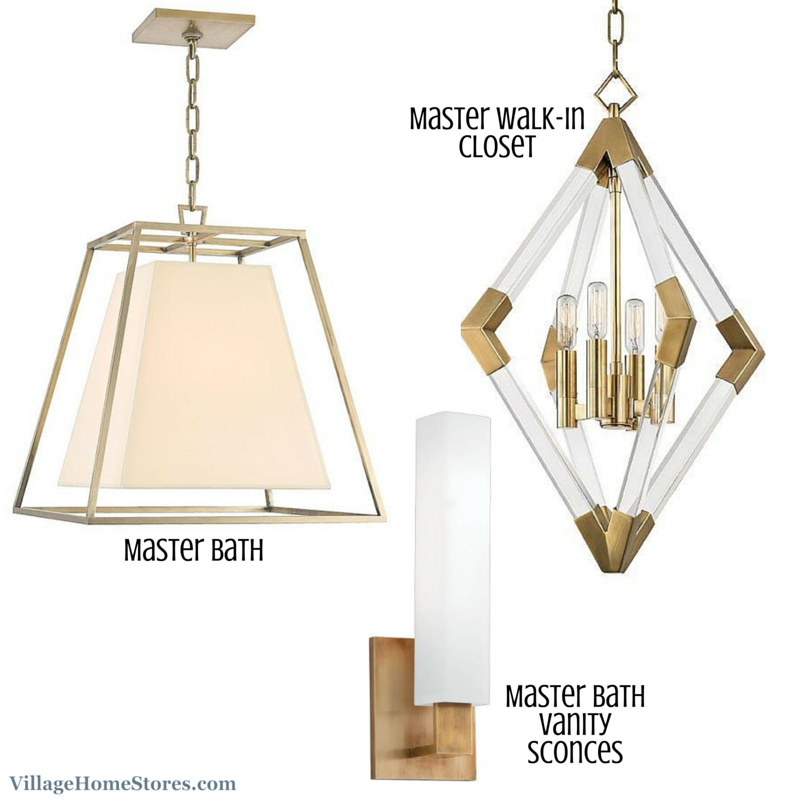 Village Home Stores has a large showroom of lighting along with access to thousands and thousands of options that our lighting experts can sort through for you, no matter what your style or budget is. 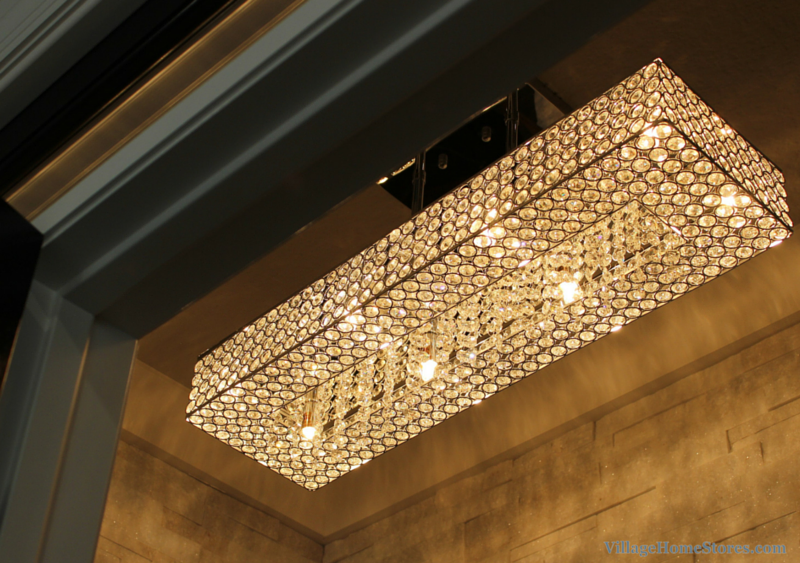 Plus remember that the lighting in your home is truly the “jewelry” to the finished space. A very true statement in the case of this example lighting concept in Moline, IL. Selecting a fixture for your Dining Room is just as important as selecting the table to go below it. Each play an important role in the space. Select something that expresses you and your personality. Think about the fixtures when viewed from all angles. Just look how some of the fixtures selected create a unique look when captured in a new perspective. The reflections, ceiling patterns, and unique designs all add a memorable finished look. 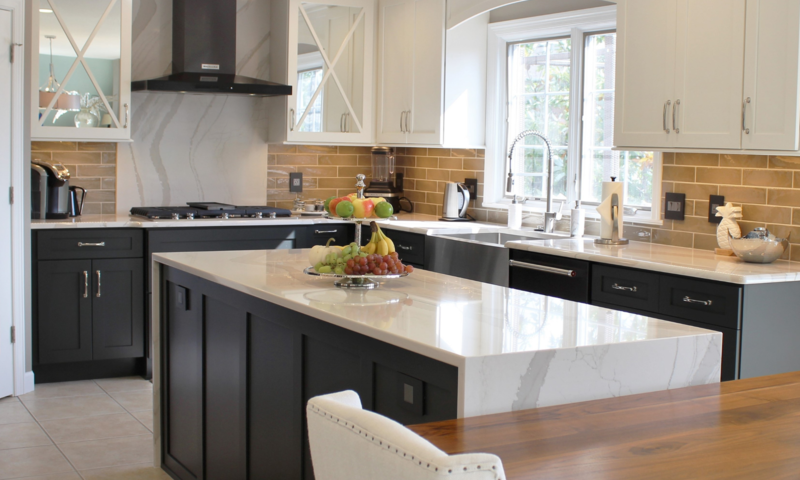 See the full album of photos from this home we used as an example here on our Houzz page. Find inspiration and tips and trick on lighting over on our Lighting Pinterest board here. 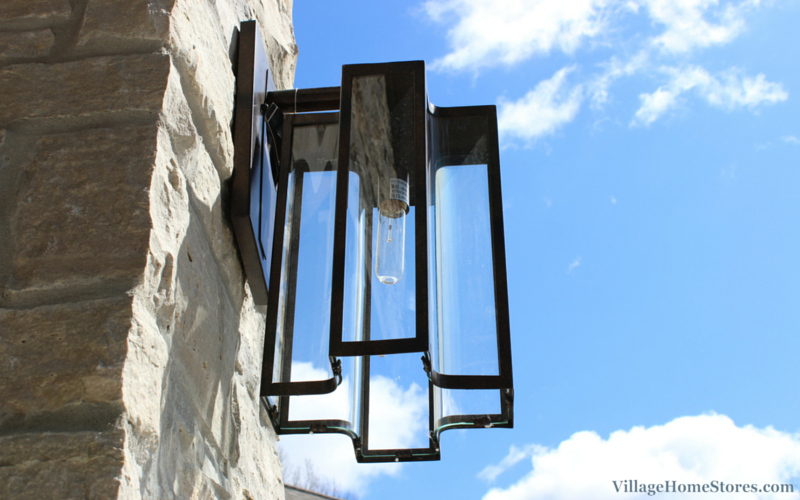 Most importantly, rest assured that your lighting selections with Village Home Stores are in good hands. If you are still in the research process, building on your own, or don’t have a builder selected yet feel free to call our store to set up an appointment. (309) 944-1344. We can’t wait to see how you want to light your dream home.